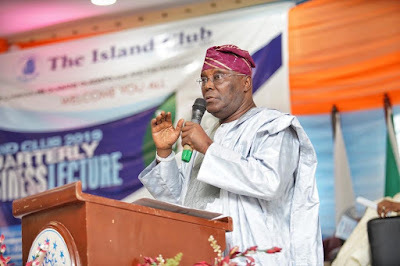 The presidential candidate of the Peoples Democratic Party, Atiku Abubakar, has pledged to end the lingering strike by university lecturers in the country, from his first day at work, if elected the next president of the country. The presidential candidate made this disclosure in Lagos, Sunday evening, at the Silverbird Man of the Year event. He pointed out that three basic lessons are essential for any individual or nation aiming at greatness which includes, investment in women, investment in education and investment in opportunities that will create jobs for the people.